Figure 1: The mTOR - AMPK "cycle" can become a vicious one, as soon as its natural balance becomes disturbed by external, mostly nutritional and/or exercise related factors. Intermittent fasting could help you restore the balance. Before we prematurely(?) break the fast and get to the nitty gritty of the feeding window, I want to briefly recapitulate the results of the last installment, which - as it will turn out - are of particular importance in view of today's discussion, as well. It were the thoughts on the health and possibly life-extending effects of intermittent fasting in the last installment of this series that brought up the involvement of 5'-adenosine monophospate (AMP)-activated protein kinase (AMPK) in both the weight, or we should say, fat loss and possible life-extending and anti-cancer effects of (intermittent) fasting. Now, before we even delve into a more detailed discussion of its relation to its "antagonist", the mammalian target of rapamyacin (mTOR), it would appear prudent to begin today's 6th installment of the Intermittent Thoughts on Intermittent Fasting series with a brief review of AMPK's effect(s) on protein synthesis, adipose tissue metabolism and apoptosis. Figure 2: Downstream effects the "activation" of AMPK has on liver, muscle, and fat tissue. In terms of the thought-after gain/retention of lean muscle mass, you must thusly consider AMPK as one of your worst enemies - an enemy which has conclusively been shown to respond to decreasing muscle glycogen content, both at rest and during exercise (Wojtaszewski. 2003) and inhibits overload-induced hypertrophy in fast-twitch muscle fibers. Now, it would be paradigmatically short-sighted to draw the bro-scientific conclusion that you, as a physical culturist, should do everything in your power to avoid the phosphorylation of the 5’-adenosine monophosphate (AMP)-activated protein kinase enzyme to harness the power of permanent mTOR-activation. As mentioned in the last installment, AMPK and mTOR, i.e. the mammalian target or rapamycin, are antagonist - yet not in the sense of a switch with two mutually exclusive positions, but rather like two kids on a seesaw: where one can only go up, when the other is going down. There is however more to this analogy than it may appear at first sight. 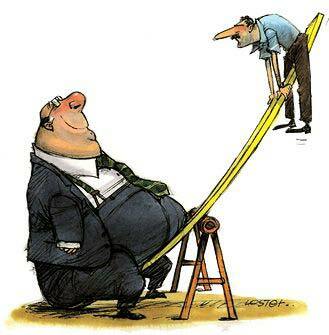 If you think about your childhood, did you ever try to seesaw with an adult or another kid that was much heavier than you were? I assume if you have, you will remember that this was not very funny, because it constantly disrupted the natural (and fun) rythm of up and down... if you are asking yourself now, where this stupid physicist is heading with his seesaw example, think of your counterpart on the other side of the seesaw as being a sedentary, obese, carboholic diabetic who is constantly stuffing candy, chips, burgers and French fries down his pie-hole in a futile effort to satisfy his insatiable craving for a constant supply of readily available energy. This guy will be so heavy that seesawing is absolutely impossible. The rhythmicity of the game, is yet not the only thing that is disrupted, the natural and vital rythm of anabolic and catabolic or I should say production and recycling of your opponent is broken, as well. With the constant abundance of readily available energy and, consequently, a low AMP:ATP (~used to usable energy source) ratio, the AMPK-related phosphorylation TSC2 and RAPTOR (cf. figure 5), which in turn would inhibit mTOR activity is absent. Now, what sounds as if it was taken right from a body builders well-spray-tanned dreams, is in fact as unhealthy as it is unnatural. Not only does it block all the beneficial effects of AMPK, i.e. the presence of which in figure 1 you may not even have noticed, when you heard the dreaded word "catabolic". Of these, the latter, i.e. 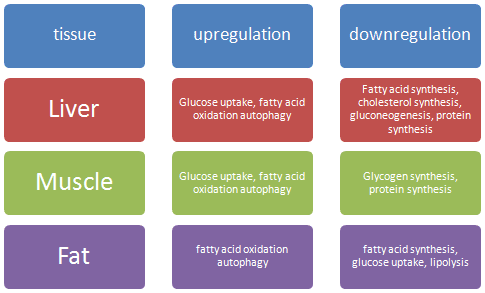 autophagy, may have the least cosmetic value (and some of you may even not know what exactly it is) is of paramount importance for your health - after all, these cellular degradation processes allow your body to constantly rebuild itself, to sort out degenerate cells and make good use (recycle) what would otherwise pile up in form of messy metabolic junk or - even worse - uncontrollably proliferating tissue, i.e. cancer! [...] disease states, where growth is deregulated and homeostasis is compromised, namely cancer, metabolic diseases and ageing (Zoncu. 2010). Assuming that you have read all previous installments of this series, this should make you sit up: Cancer, metabolic disease (obesity, diabetes, hyperlipidemia,...), even aging (cf. figure 3)... in the past Intermittent Thoughts you have not only read about all of these, but you have also seen that intermittent fasting, in the form of either alternate-day-fasting, or Ramadan fasting was able to ameliorate or even partly reverse all these ailments of an obesity-stricken society, which is about to drown in fructose-corn-syrup and partially hydrogenated vegetable oils. The fast (regardless of whether its background is a religious one or not) breaks the vicious cycle of chronic mTOR (over-)expression and allows the body to start necessary and beneficial catabolic breakdown processes to rebuild, repair and recycle what got damaged and patched together raggedly in the course of the "anabolic" phase. Now, just as even someone with the repair-skills of Bob the Builder ("I can fix it! "), would obviously - at some point - be unable to make up for the wear and tear the furnishings in his house are exposed to, the well oiled cellular repair-machinery of our bodies will also hit a wall, when all the debris is cleared and the excess energy that had been stored away in times of nutritional abundance is either running short or cannot be accessed fast enough to satisfy acute energy demands (specifically of the brain). Yet, while the latter would obviously be much more likely, when after the "magical" ~16h, after which the glucose stores in our livers begin to dwindle (cf. Intermittent Thoughts - Myth 2), the undesirable result of the energy shortage, i.e. catabolism, would always be the same. Image 2: Do you too have a question related to AMPK, mTOR or Intermittent Fasting, in general? Don't be shy and send it in! 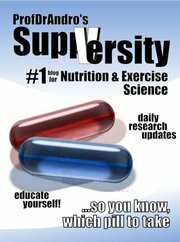 Questions, comments and suggestions for future installments of this series can be posted either at the Suppversity Facebook wall, via Twitter or right in the comment-area at the bottom of this page. 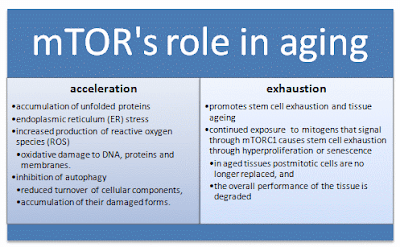 Does mTOR make you fat? It may be of interest to some of you (I know someone asked, but forgot who - shame on me) what the effect of the "anabolic" mTOR pathway on adipose, i.e. fat, tissue is. Well, if you look at the obese seesawer in image 1, the question appears unnecessary... if we delve a little deeper into the complicated interactions that are taking place here, we will yet notice that it ain't the mTOR signal per se that is fattening, but the way it sets the stage for increased adiposity by inhibiting the expression of adipose triglyceride lipase (ATGL) and hormone-sensitive lipase (HSL) (Chakrabarti. 2010), so that stored triglycerides cannot be broken down and released into the blood stream to be subsequently burned as fuel, and, at the same time, by ramping up lipogenesis and thus increasing the lipid accumulation in white adipose tissue (and, in severe overfeeding scenarios, liver and muscle, as well). 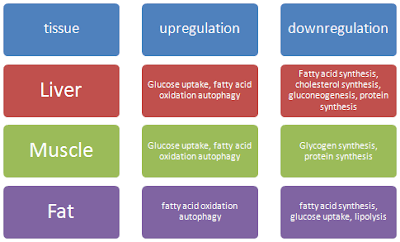 Without the presence of a chronical overabundance of energy and the consequent over-expression of mTOR in the presence of readily available substrates for fatty acid synthethase, fat storage would however not be a concern. Moreover, if the AMPK-mTOR cycle is intact, the excess energy that is not used for protein synthesis, but stored during the anabolic phase, will come handy to fuel the repair processes when (during a "fast") AMPK takes the reign. A chronic overexpression of AMPK and consequent catabolism of metablically active tissue (muscle and organ tissue) is unquestionable as undesirable as the fattening, cancer-promoting and life-shortening effects of chronic activation of the mammalian target of rapamycin (mTOR). Figure 4: Merely illustrative sketch of the interplay of mTOR and AMPK as a function of time [in h] with feeding / fasting periods at the indicated time points. 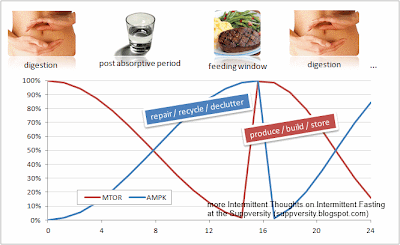 The sketchy graphical illustration (it should be obvious that neither the sinosodial nor the linear parts are based on actual observational data) of the interplay of AMPK and mTOR and their relation to feeding, and thus energy availability in figure 4 goes provides some clues about how the large fasting window, allows enough time for an acute, yet temporary energy shortage to occur in the course of the postprandial /-absorptive phase, where the constant influx of nutrients which keeps the anabolic mTOR pathway humming runs out and AMPK eventually takes charge, as its activation consequent to the rise in AMP:ATP ratio (=energy shortage) subsequently decativates the mTOR pathway via phosphorylation of tuberous sclerosis protein 1+2 (TSC1+TSC2, cf. figure 5) and their inhibiting effect on GTP-binding protein Rheb, which is the central governor in the regulation of growth and cell cycle progression. The re-constructive yet eventually catabolic reign of AMPK, on the other hand, comes to an abrupt end, as soon as a nutrient-rich meal is ingested and the AMP:ATP ratio decreases. This process will obviously not be as linear as I sketched it in figure 4, but it does stand to reason that the length of the transitional period will be somewhat proportional to the speed at which the intracellular ATP levels are repleted. That being said, a tried and proven way to quickly replenish ATP stores is the ingestion of a relatively large bolus of high glycemic carbs. Against that background, even low-carbers may suddenly see some sense in adding a reasonable amount of simple sugar to their post-workout shake, especially if they position their feeding-window right after their training session at the gym (which would then obviously have been performed in the (semi-)fasted state). The fast acting carbohydrate would then not only replete the muscle glycogen stores, they would also allow the amino acids that come with both the post workout shake, as well as the subsequent whole-foods meal(s), and the training and nutritionally induced growth factors to do their anabolic magic by releasing the "catabolic AMPK-break" as fast as possible. Carbohydrate timing: Did you know that a 1988 study by Ivy et al. found that there is a statistically highly significant difference in the rate of muscle glycogen storage depending on when you ingest the carbohydrates? In fact, the rate of glycogen storage was 45% slower if the carbs were ingested 2h after exercise (vs. immediately post) and the amount of glucose that was stored in the vastus lateralis muscle of the 12 healthy subjects after 70 minutes on a cycle ergometer at 65% of their individual VO2Max with two intermittent intervals at 88% of their VO2Max was ~25% greater, when the 2g/kg carbohydrate were consumed immediately post-workout. Overall, clear-cut evidence of the repartitioning effect of exercise that would support the well-known advice to "time your carbs around [for someone on an intermittent fast obviously after] workouts". Now that we are finally approaching the enjoyable part of intermittent fasting, i.e. the feast after the fast, I got the strange feeling that it is time for me to break my own fast, since the increasingly low glucose levels in my liver appear to impact my ability to hear myself think and thus begin to compromise the quality of the Intermittent Thoughts I am committing to the blogger interface.